I had an early morning appointment and after I was called back, I was seen very quickly. I usually have alater appointment and have to wait even after being called back. I was very happy with the quickness of being seen at this last appointment. I also appreciate the fact that Dr. Banegura takes the time to listen. He never makes me feel like I am rushed or that he is in a hurry to move onto the next patient. That is very reassuring. I had an early morning appointment and after I was called back, I was seen very quickly. I usually have a later appointment and have to wait even after being calledback. I was very happy with the quickness of being seen at this last appointment. I also appreciate the fact that Dr. Banegura takes the time to listen. He never makes me feel like I am rushed or that he is in a hurry to move onto the next patient. That is very reassuring. Other than the wait, it was a good visit. Dr. Banegura listened and took thorough notes and worked with me onthe next steps in my GERD treatment. “I treat my patients like family, with respect and compassion. Shared decision making is key to patient-centered health care. It’s important to me that you understand your treatment plan, so I take time to explain your condition and treatment options. I also work hard to stay up-to-date on medical literature so that my team can provide the most advanced digestive care.” Allen T. Banegura, M.D., joined Digestive Disease Associates (DDA) in 2007. 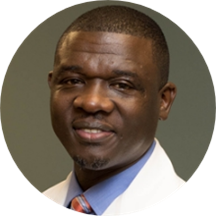 He received his Bachelor of Science degree in Molecular Biology and Genetics from the University of Maryland College Park in 1995 and his medical degree from the University of Maryland School of Medicine in 2000. Dr. Banegura completed his internship and residency in internal medicine at the University of Michigan Health Systems in Ann Arbor. He performed his fellowship training in gastroenterology and hepatology at the University of Pittsburgh Medical Center. During college Dr. Banegura served in the United States Marine Corps Reserves. He was awarded the National Defense Medal for Service in Desert Storm, the U.S. Marine Corps Selected Reserve Good Conduct Medal, and a certificate of Meritorious Service, prior his honorable discharge in 1998. Dr. Banegura is board certified in internal medicine and gastroenterology and has an interest in diseases of the liver, pancreas, biliary, ERCP, Capsule Endoscopy and general gastroenterology. He is a member of the American Gastroenterology Association, the American College of Gastroenterology and the American Society for Gastrointestinal Endoscopy.